One Nation Senate candidate drives a Monster truck over two cars. 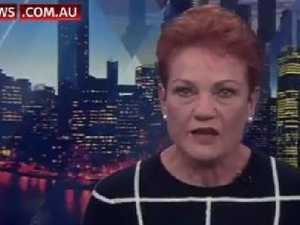 News PAULINE Hanson says she has the policy credentials to drive over the top of the Coalition and the ALP in the federal election. News PAULINE Hanson says she wants the off-shore detention centres shutdown and tax avoiding corporations held to account.